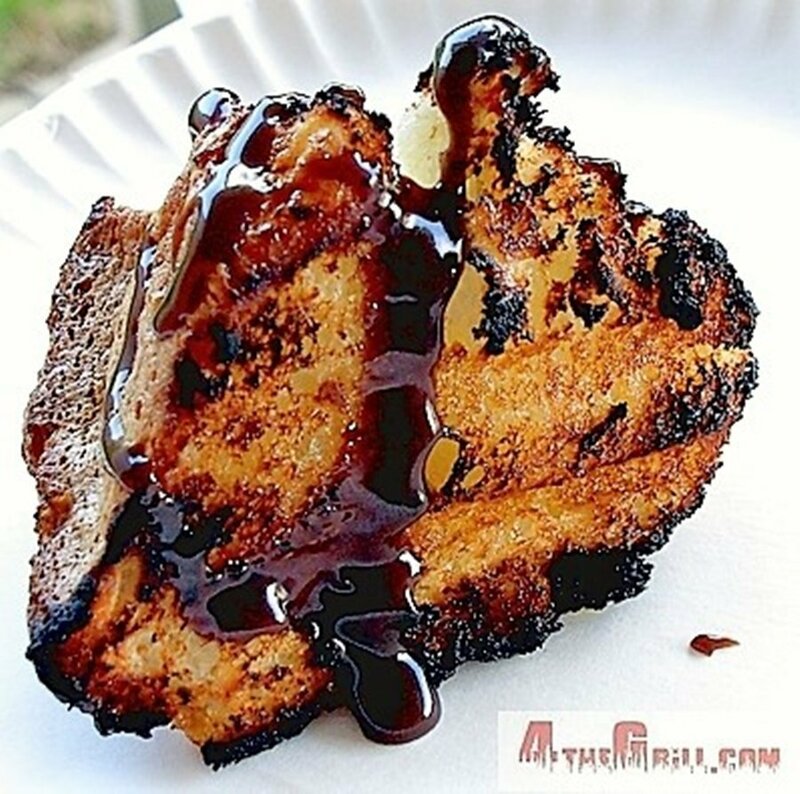 Grilled angel food cake is a tremendous way to show that you have mastered the grill and to end your barbecue. 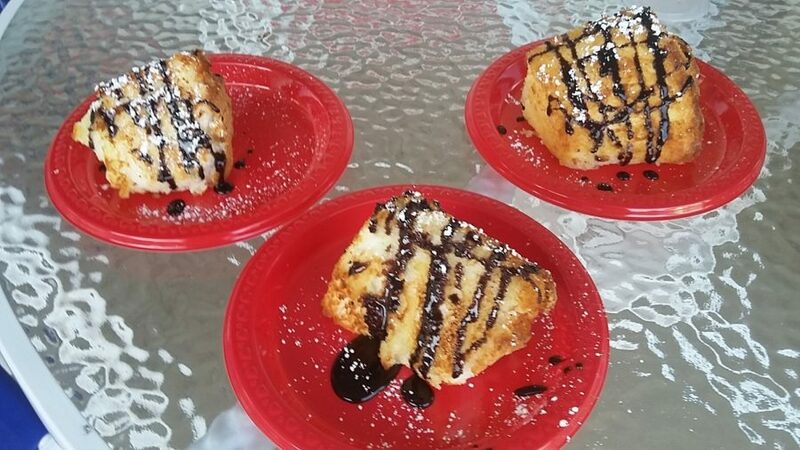 Grilling any dessert will impress all of your friends and family. 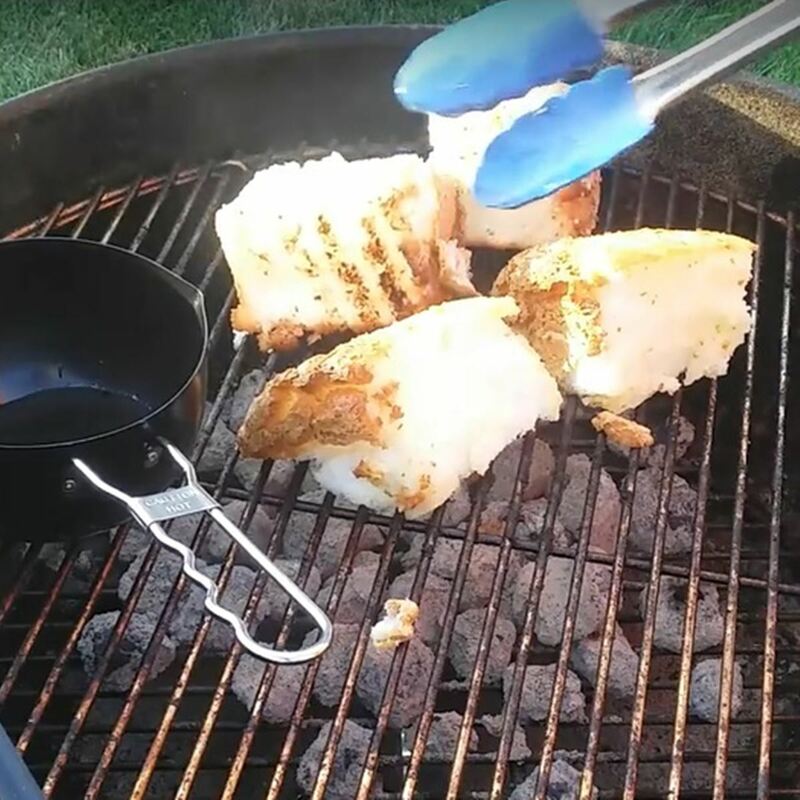 For grilled angel food cake, all we will are basically doing is toasting the outside of the cake with the direct heat of the grill, to gain a little crunch while warming the inside. The wow factor is in the toppings and that selection is endless. Heat and set your grill up for direct medium high to high heat grilling. Make sure your grill grates are very clean or the cake will pick up that flavor. Slice your cake. 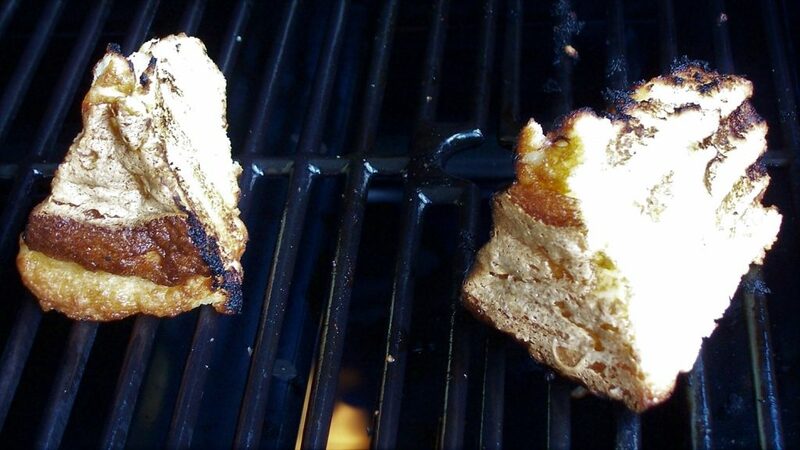 Grilled angel food cake is a delicate process so begin by placing a single piece on the heat and do not step away. Check your cake with your tongs every 10 seconds or so to see if it has released from the grate and browned on the outside. This should take between 30 seconds to a minute. Adjust your heat accordingly. Then repeat for all sides and add slices when your comfortable with the timing of the turns. Assuming you have cut your angel food cake from a circular cake it has 5 sides that can be toasted. When grilling multiple pieces be sure to have a safe space to keep the finished slices warm while your finishing the rest. When finished we are going to top the grilled angel food cake with Hershey’s chocolate syrup and powdered sugar. This is best while served hot. So I pass the finished slices off one by one to the wife who will add the syrup and sugar. Serve that masterpiece. Sit back and take in all the compliments that you just earned. When we fist posted this 9 years ago there was nothing even close to it found online. 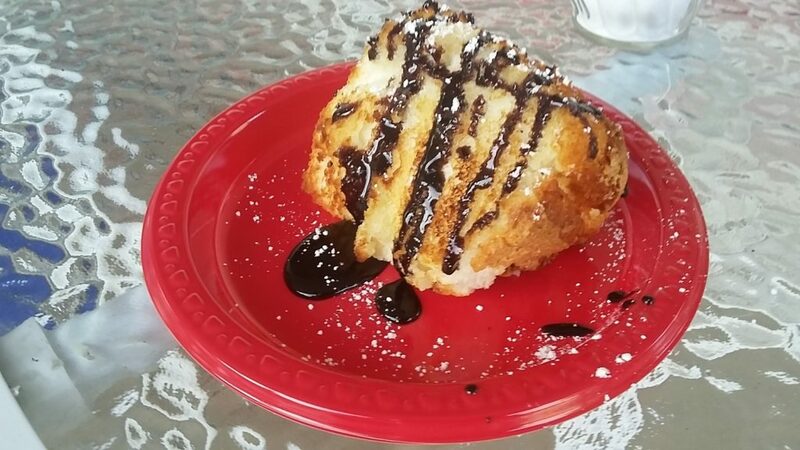 It has been imitated by Food network chefs and now grilled angel food cake is everywhere. Your welcome world! This is one of our originals and still a favorite. The sister in-law will bring angel food cake with her when invited over for dinner. You know just in case we weren’t planning on having it.